Darwin Labarthe, M.D., M.P.H., Ph.D.
Dr. Labarthe retired in July 2011 from his position as Director of the Division of Heart Disease and Stroke Prevention with the Centers for Disease Control and Prevention and was named a professor in preventive medicine at the Feinberg School of Medicine at Northwestern University. He received the AB degree in history from Princeton University in 1961; the MD degree from the College of Physicians and Surgeons, Columbia University, in 1965; and the MPH and PhD degrees in epidemiology from the School of Public Health, University of California, Berkeley, in 1967 and 1974, respectively. His postgraduate medical training was in internal medicine (Washington University, St. Louis) and general preventive medicine (Berkeley), in which he was certified by the American Board of Preventive Medicine in 1970. 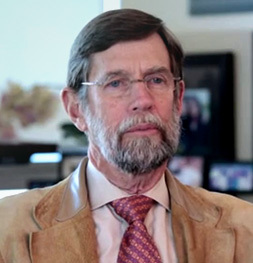 His professional activities over three decades were based primarily in the University of Texas School of Public Health, Houston (1970–1973 and 1977–1999). In January 2000 he joined the Centers for Disease Control and Prevention. There he led the development and implementation of the long-range public health strategic plan, A Public Health Action Plan to Prevent Heart Disease and Stroke. Dr. Labarthe’s research and teaching activities have been primarily in the area of cardiovascular diseases and their prevention, especially the early development of the cardiovascular risk factors in childhood, adolescence, and early adulthood. He was founder and for 25 years directed the U.S. Ten-Day Seminars on the Epidemiology and Prevention of Cardiovascular Diseases and is Co-Director of the International Ten-Day Teaching Seminars on Epidemiology and Prevention of Cardiovascular Diseases, now in its 46th year. He has published more than 175 research articles and book chapters, as well as the textbook, Epidemiology and Prevention of Cardiovascular Diseases: A Global Challenge, 2nd Ed (Jones & Bartlett Publishers, 2011).